This next car comes as a tip from Hugh who writes: What do you call a T-bucket roadster with a Jaguar XK engine and an automatic transmission? A lotus Seven of course! It's almost as strange as that desert boat pickup thing. Maybe pickups that aren't pickups week? I dunno...but this next car sure is a pick-me-up. 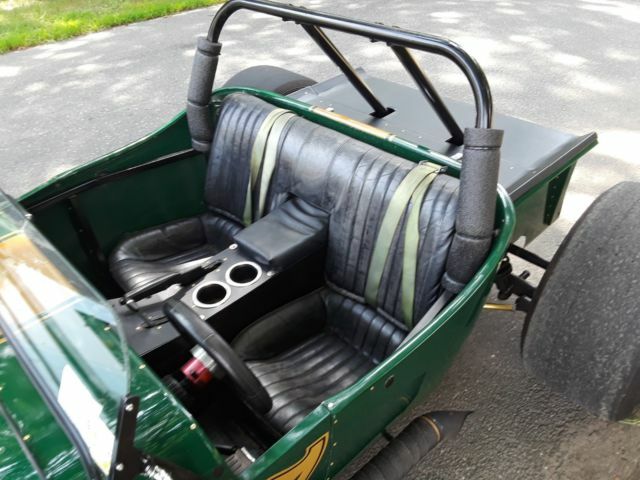 Find this 1960s Lotus 7 Replica offered for $19500 in Centerreach, NY via topclassiccarsforsale.com. 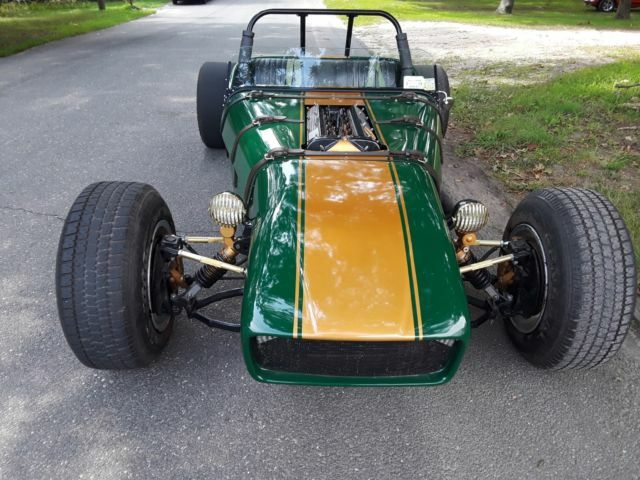 Condition: UsedMake: LotusModel: Super SevenType: ConvertibleTrim: caterham super 7 2017Year: 1960Mileage: 3,800VIN: 171849917184669NEColor: GreenEngine size: caterham super 7 2017Number of cylinders: 6Fuel: GasolineTransmission: AutomaticDrive type: RWDInterior color: BlackOptions: Leather SeatsVehicle Title: ClearWant to buy? Contact seller! But even though the proportions are awkward and it's begging for a manual, there's still something oddly appealing about this. "something oddly appealing about this"
I agree, it's the engine and front of super seven that's interesting. Luckily that is what you see from the wheel, because anything tee bucket is nearly a deal breaker. But it looks like a blast to drive! T-bucket with jag irs is kind of traditional hot rod. 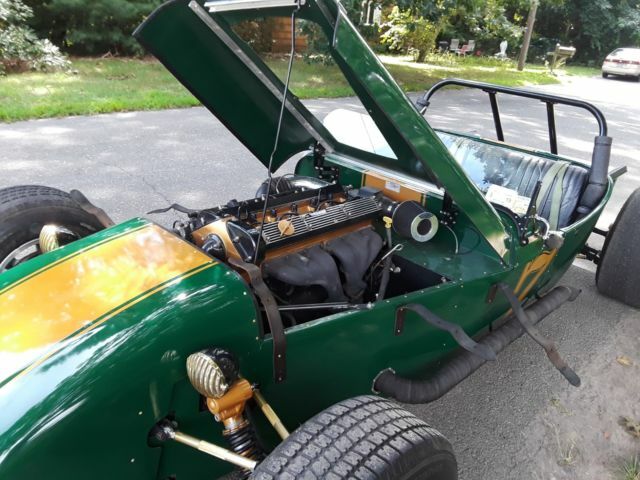 The jag engine has plenty of torque , the front looks closer to watson roadster than lotus 7. Seems a more point and shoot than go around corners kind of affair , so it looks like fun but why call if a lotus seven? Oh and extra points for the XK cam covers popping out of the hood.